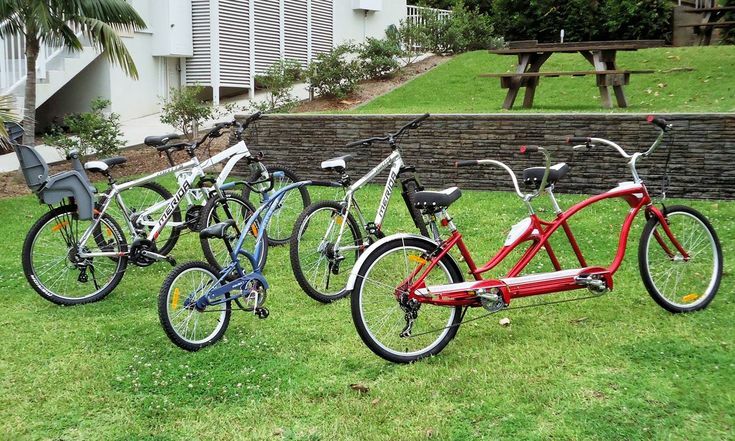 Port Macquarie Bike Hire operates from the motel and provides Mountain Bikes for no charge to guests when they are returned before 8.30am each morning. There are newly constructed bike tracks from the Motel to tracks along the Hastings River which go to the Town Centre and Main Beach. It is mainly a level wide pathway with picturesque scenery. There are hill climbs from the Town Centre to the beaches. The bikes must be booked and reserved the night before. Helmets and accessories are included. Insurance restrictions prohibit children under the age of 15 years to ride the Mountain Bikes and the bikes must be ridden in daylight hours. There is provision to carry young children on the bikes ridden by adults.